The trailer of the film itself seems praising this astounding actor and her versatility. Kudos! 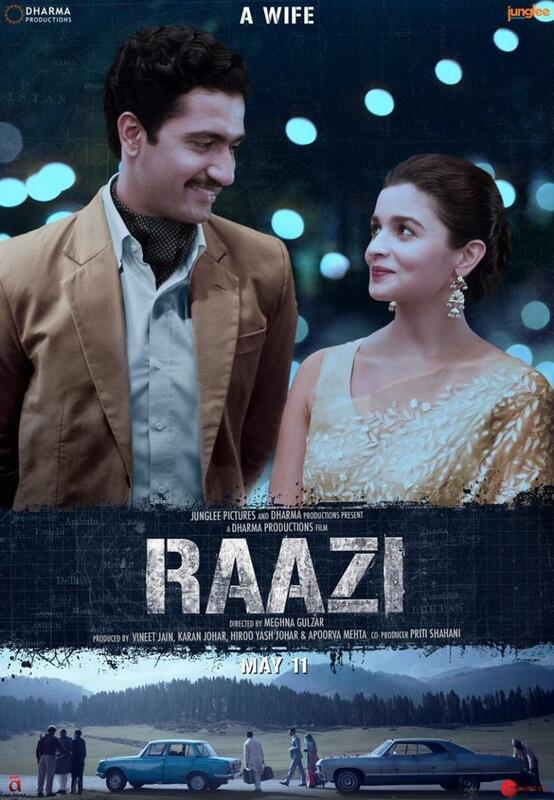 Finally, the much awaited trailer of Raazi is out and here we can witness the indomitable Alia Bhatt who has once again stunned all of us with her versatility and daring persona. Once you watch the trailer, you get to know how deep-seated this young girl is and what she can do for making herself an inspiration for the new comers as well as for the established actors in Bolywood. After her heart- stopping performance in blockbusters like Udta Punjab and Highway, she has come back, this time with a heroic and naive image disguised in a simple girl. In this movie, she will be seen as projecting three different roles which is quite challenging for a young and learning actor to perform. But what she has done here is definitely going to show her power packet talent that she knows when to throw around. This film by Meghna Gulzar with a fresh pairing of Alia Bhatt and Vicky Kaushal under Junglee and Dharma Productions is based on true story which is set during the Indo-Pakistan war of 1971. Alia aka ‘Sehmat’ is playing a courageous spy in the film who is Hindu Kashmiri by religion but as ordered by her father, she marries a Pakistani officer. She is seen as keeping three different characters in the film- a loving daughter, a loyal wife and firm spy who cannot stand anything against her country. As we move on with the trailer of Raazi, we notice how Alia with her effortless and powerful acting surpasses her performance in her earlier blockbusters. The flow of natural emotions that she cast on her body language eclipses everything else around. Her performance is surely making everyone frantic and irresistible to wait for its release till May 11. She is indeed outperforming this time and the choices she makes regarding films will surely going to make her number one in the list forever. This promising actor is going to rock, for sure.